RChris has the right idea. 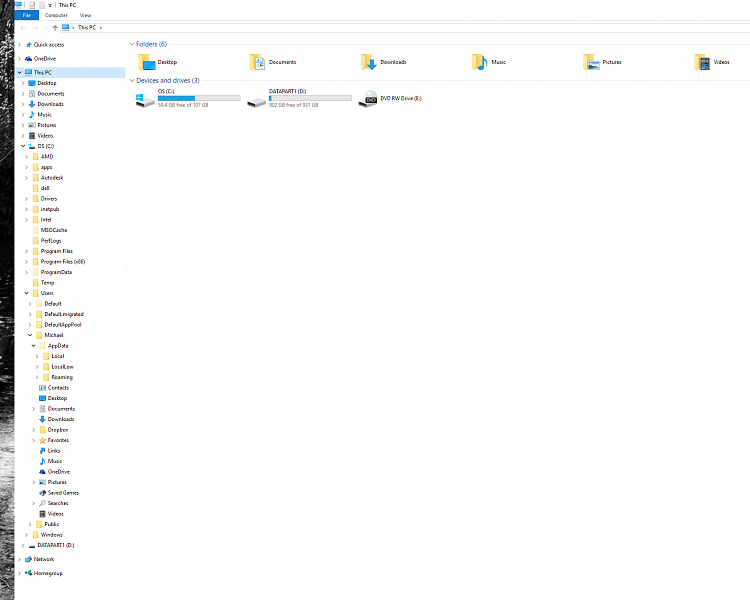 One of the first things I used to do upon installing any new Windows OS was immediately change the location of my My Documents folder to my D drive.... C:\Users is your original Users folder (on your SSD or original drive). D:\Users is where you want the Users folder to be stored from now on. Type rmdir /S /Q C:\Users , replacing C:\Users with your original Users folder location. C:\Users is your original Users folder (on your SSD or original drive). D:\Users is where you want the Users folder to be stored from now on. Type rmdir /S /Q C:\Users , replacing C:\Users with your original Users folder location. Unlike XP where all you needed to do was create a folder on a new partition, name it My Documents or whatever then simply go to properties on the C: My Documents and move target to the new location which would also move ALL folders & files and refer them in the registry.